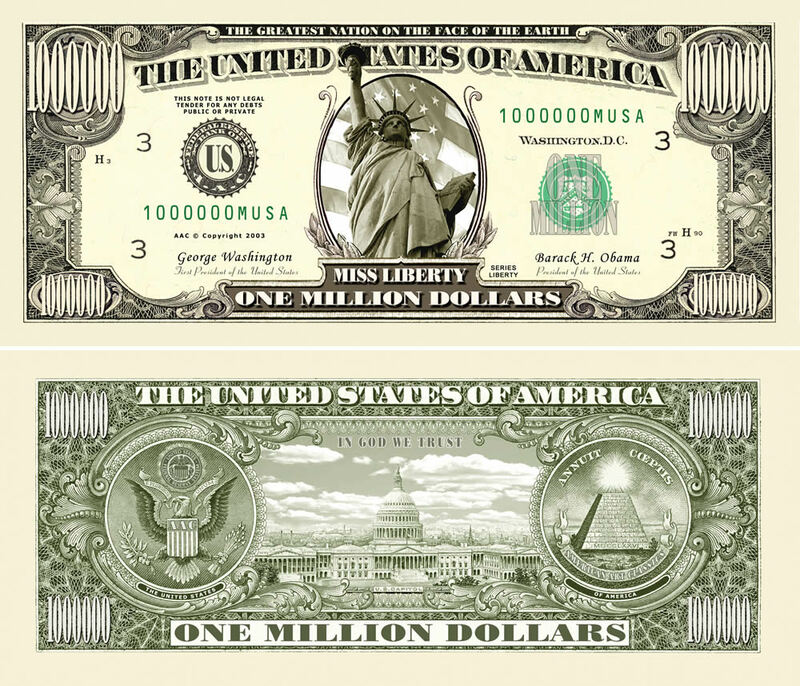 Our Traditional One Million Dollar themed novelty money is printed on the front and back. 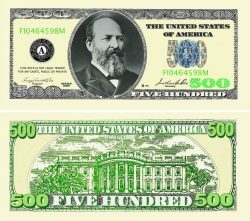 It is the same size as real US currency. 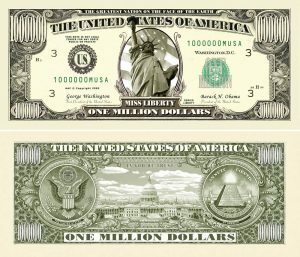 The Traditional Million Dollar Bill is beautifully designed. 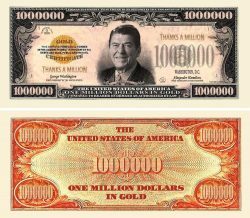 Use these Traditional Million Dollar novelty bills in schools, at parties, sell them at retail stores, sell them in online auctions or use them in promotions. 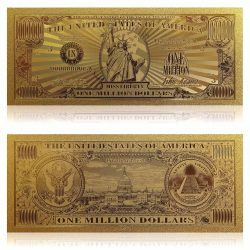 Our Traditional Collectible Million Dollar Bills make for a great gift or collection item. 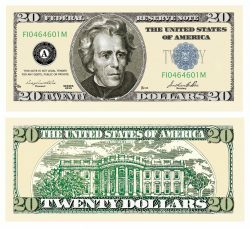 All of our novelty money, funny money and fake money is extremely popular and can be used in hundreds of unique and fun ways.